Halloween is one of my favorite holidays. I love making costumes, dressing up, and going to a party where everyone else is in costume too! There are so many fun things to do around this time and so many fun foods and special dishes to make for parties. 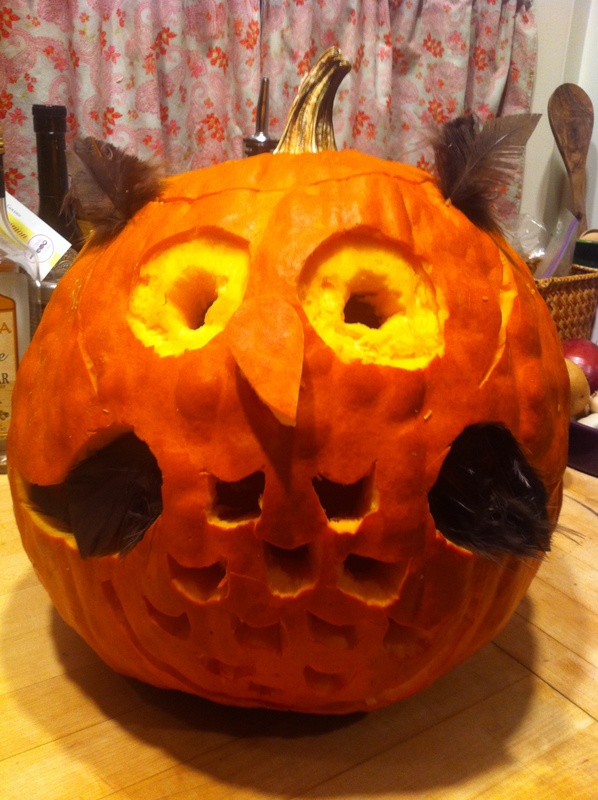 I added some feathers to make it really look like an owl! It was pretty fun. I think next year I am going to get some better pumpkin carving tools and make a better carving. If you have any good ideas let me know. I want to make something interesting. 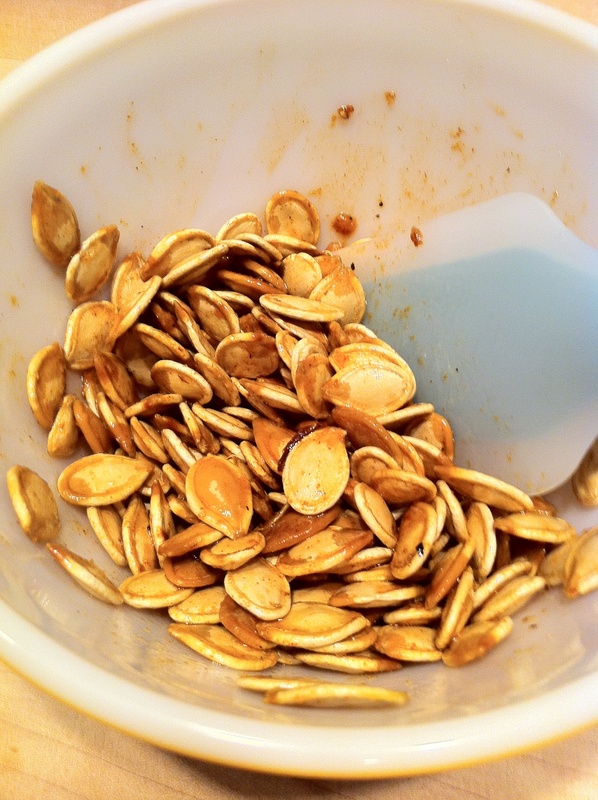 From this pumpkin project, I pulled out 1 cup of pumpkin seeds. I decided to roast them and try something new this year. I made a mixture of sugar spices to coat the seeds. 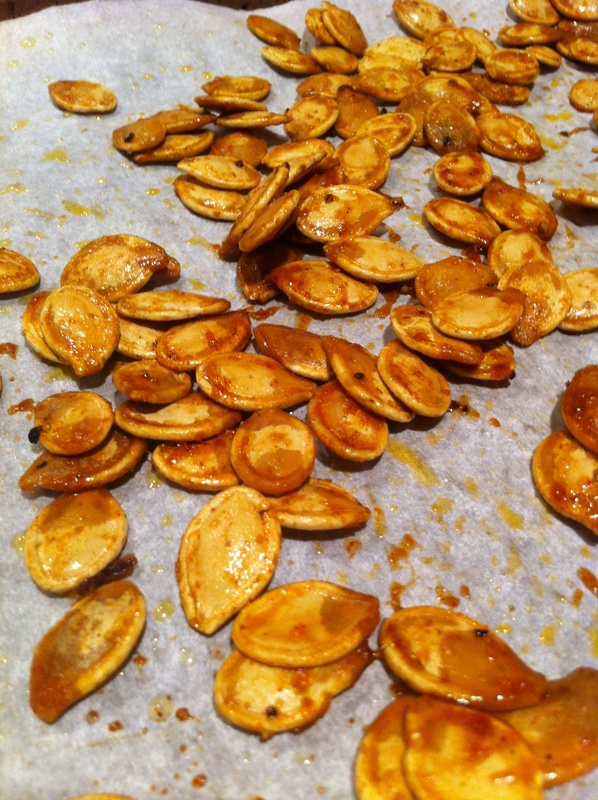 Here’s the recipe to my spiced up roasted pumpkin seeds. If you like my cute goose measuring cup you can find a similar set here. 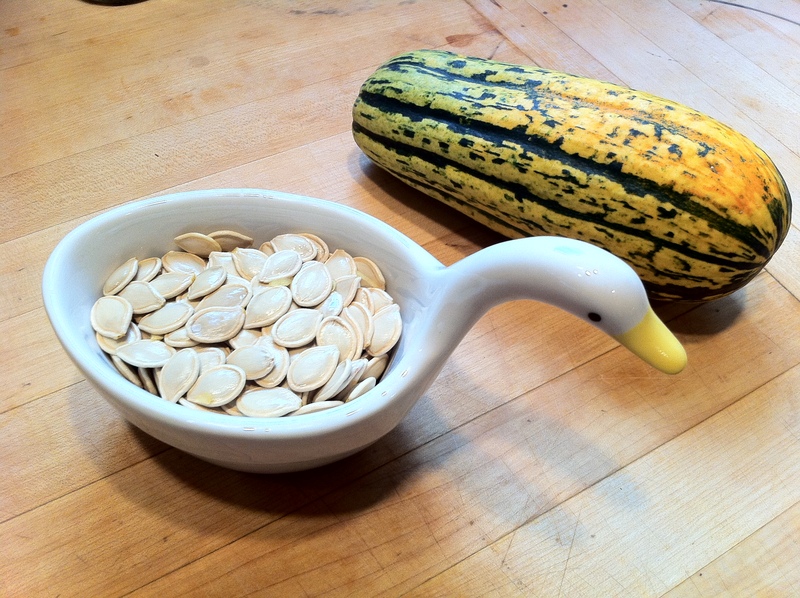 I got my gaggle of geese measuring cups a few years back at Anthropologie and they are no longer available. 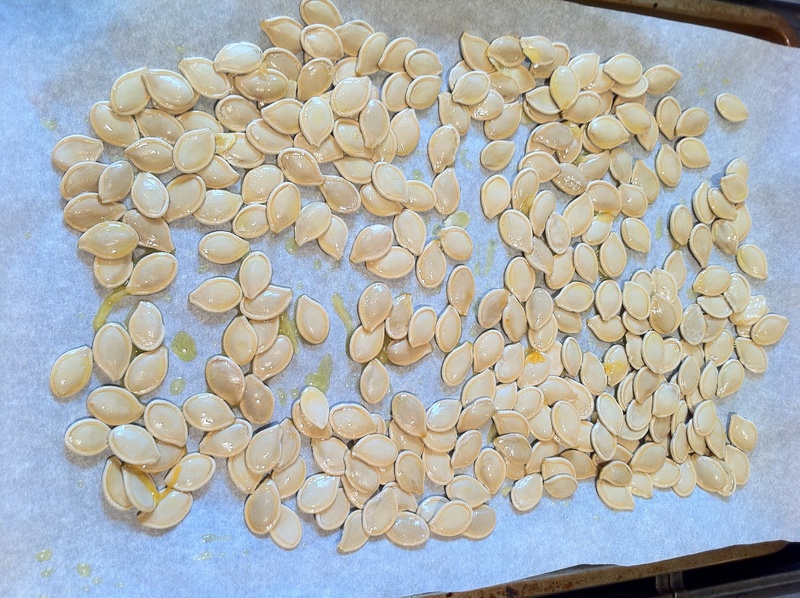 Spread the cleaned seeds out on a parchment lined baking sheet. Drizzle the olive oil and 1/4 tsp. of the sea salt over the seeds and stir them so that all of them are coated. Bake at 350 degrees for about 25 minutes, until they are golden and crispy. You can eat the seeds just like this. This simple roast is how I usually eat them. They are really good- nice and simple just roasted and salted. To spice them up, mix the other 1/4 tsp of salt in with the rest of the spices and the 2 tsp. sugar in a small bowl. Toss the seeds in and add the 1 tbsp. of water – just to help the spices stick to the seeds. Mix it well to make sure all of the seeds are coated. Spread the seeds out on the baking sheet in a single layer again and bake for about 10 minutes (you want to try to get them dry again so they don’t all stick together). They come out kind of caramelized or candied but they have a nice little spice to them. 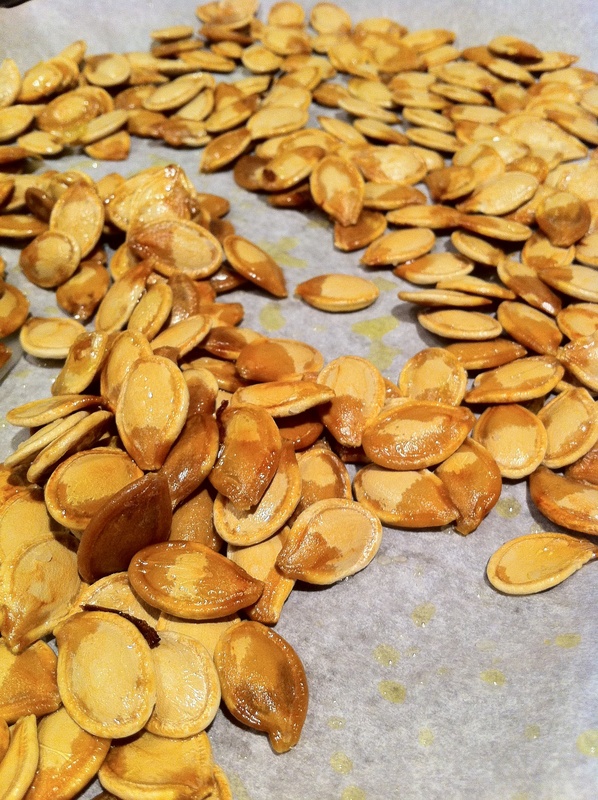 Make sure you save your pumpkin seeds! They make a great Fall snack and it’s kind of fun to pick them out of the pumpkin.